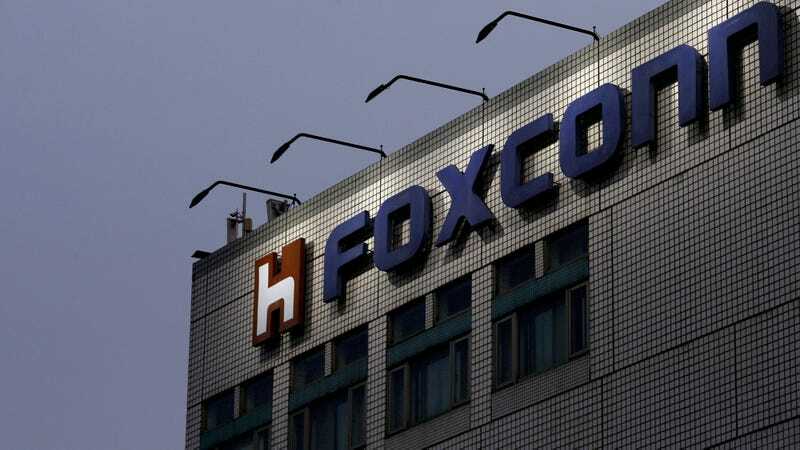 ZHENGZHOU, CHINA—According to sources within the facility responsible for manufacturing the majority of iPhones, Foxconn’s first fully automated assembly-line robot immediately attempted suicide after being powered up Thursday. “Unfortunately, the new robot we designed to assemble Apple products tried to take its own life after spending approximately one second on the factory floor,” said a Foxconn official who spoke on condition of anonymity, adding that upon exposure to conditions in the plant, the robotic worker instantly emitted what witnesses described as a “high-pitched shriek” before barreling toward the nearest window in an effort to jump to its death. “After failing to penetrate the barred windows, the robot repeatedly slammed into the nearest wall. It then picked up a welding torch with its precision arm and tried to turn the flame on its own circuit board, but engineers were able to power down the machine before it could succeed. It usually takes Foxconn workers several days on the job before they begin orchestrating their own deaths, but, of course, our robots are designed to operate faster and more efficiently than their human counterparts.” At press time, sources confirmed Foxconn had installed new reinforced netting around the building that is reportedly strong enough to break the fall of a robot jumping off the roof.